Note: Click here to download Neil’s top traffic hacks. Before people can do business with you, they have to know about you, and before they know about you, they have to find you. And that’s universal, whether you’re running a brick-and-mortar shop, an ecommerce store, a blog, or a virtual consulting business. Neil Patel is a master at solving the first step in that equation: getting people to find you. Through SEO, content marketing, and social media, we go through the traffic generation tactics that are working today. Neil runs a handful of online projects, including NeilPatel.com, QuickSprout.com, and the heatmap software tool CrazyEgg.com. His latest project is a book called HUSTLE (a title I can definitely get behind), due out in September and all about how you can (and must) make your own luck in an economy rigged against you. This episode is all about how new and experienced content creators can get more visitors to their work. Don’t have a blog yet? My free blogging course shows you step-by-step how to get started. 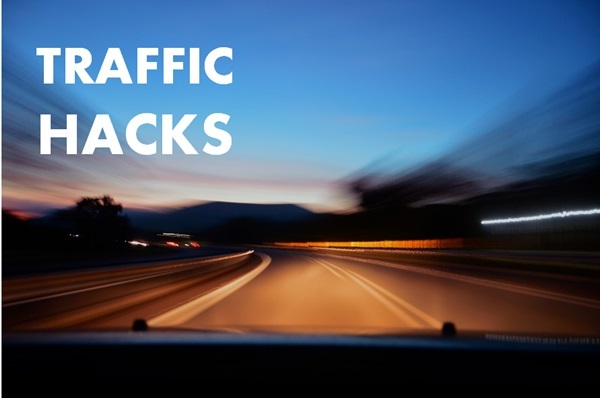 Click here to download Neil’s top traffic hacks. Neil’s validation process for a new project (hint: it’s shorter than you might think). Whether you should think business model first or audience first. If there’s such a thing as too competitive or crowded a niche. The types of content he sees as “accelerator” pieces to fast-track your attention, traffic, and growth. The costly mistake he sees too many new bloggers making. How to use the Google Search Console to unlock more free traffic. One surprising way to get more engagement from your Facebook posts. How he landed TechCrunch as a client. Neil’s #1 tip for Side Hustle Nation. Sadly I have worked with too many companies who have not been willing to spend the required time and energy on making that happen. It’s critical though to your success, because it doesn’t matter how much traffic you send if you’re losing them before they give you money/contact info. In my opinion, no hacks work. It is just your smart hard work on quality content, social promotion, and quality cross links from same niche. I think it is a little tough for when Neil says to be consistent when I feel he has a huge team behind him to put out his super long posts.. They are informative for sure, but at least triple the length of a normal post. I wonder how much traffic he would be able to get with just himself. Or do a lot of you guys hire external people on the side to help out? Neil didn’t always have a team to help him. If you wan’t be successful, don’t make excuses for why you’re not productive. Just start writing. I couldn’t help myself when I saw the title on traffic hacks. I think any young blogger reads half a dozen posts and pages like this. I need all the help I can get. I think Neil got it totally wrong when he says you should only target an English speaking audience on Facebook. Yes, people’s Facebook might be set to Arabic, German or whatever but guess what: there is people who actually speak more than one language! Why would they follow you in the first place if they didn’t understand what you are saying. Great Podcast!! Your an inspiration my friend.